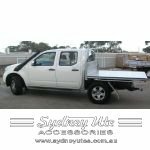 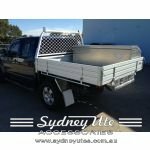 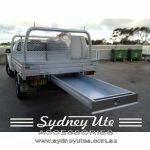 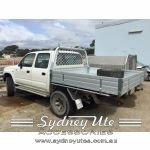 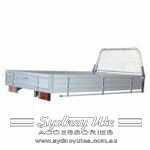 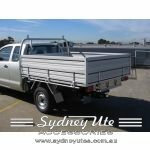 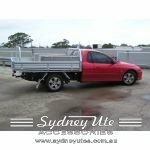 Sydney Ute Accessories can supply and fit aluminium trays for utes please contact us for pricing, our website will be updated soon. 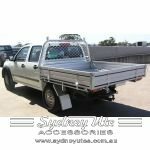 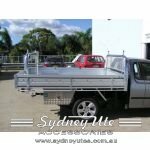 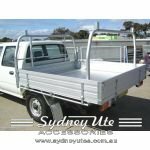 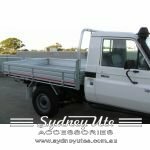 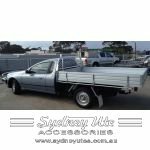 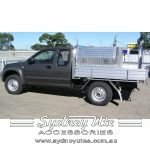 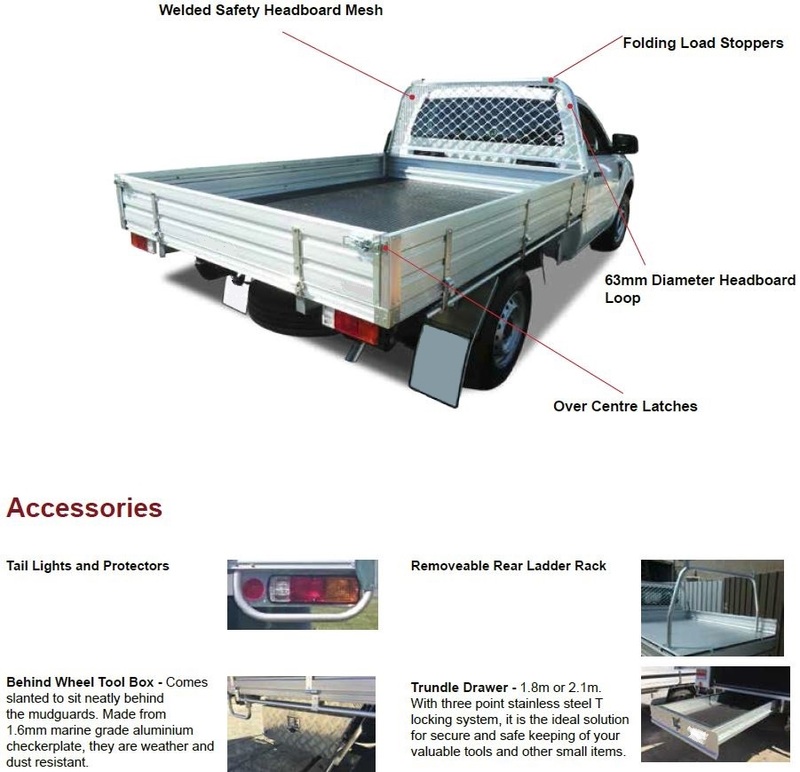 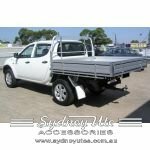 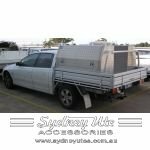 We have a range of options to suit your ute, standard and then deluxe styles. 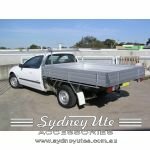 We have a tray to fit the manufacturer of your ute in Sydney. 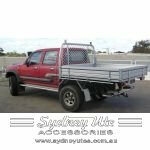 Hilux Early Model, six foot six x six foot, Aluminium Tray. 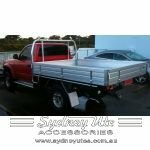 Holden Crewman, Dual Cab Tray with Rear Ladder Rack and Toolboxes fitted.